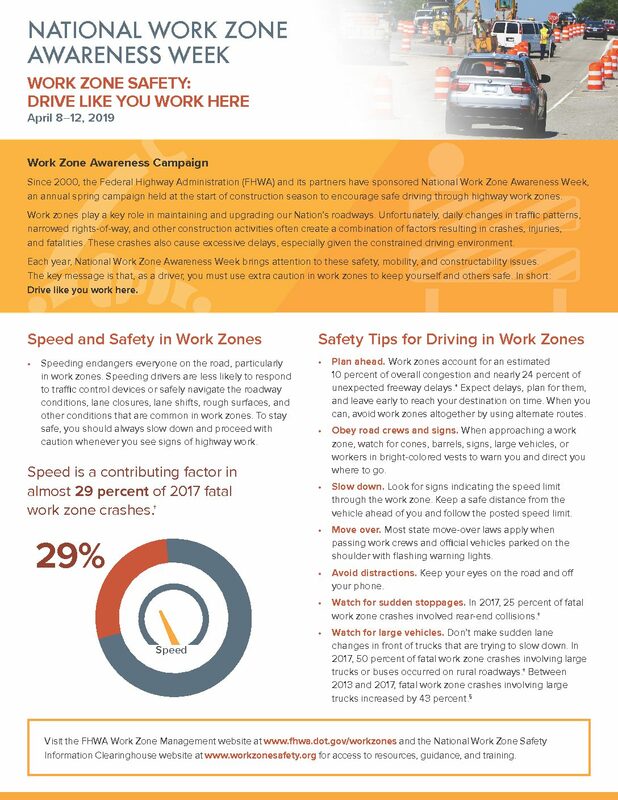 NWZAW was created to raise public awareness of work zone hazards and the importance of work zone safety. Motorists are encouraged to slow to posted speed limits, eliminate distractions while driving, and be watchful for roadway workers and their equipment. This year’s theme is Drive Like You Work Here.